12 Garden Deluxe Bungalows – are spaciously imbedded into a more than 5.000 m² tropical garden with shady trees, fountains and statues. 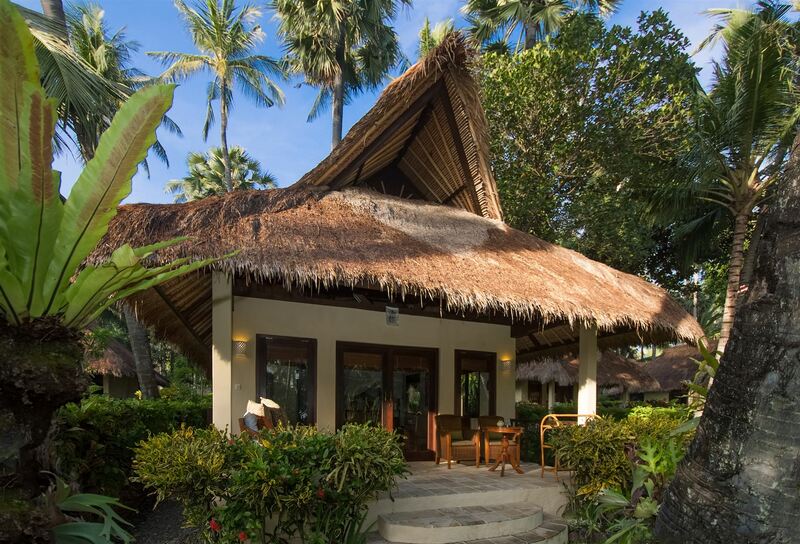 Several “bale” (roofed relaxation areas) are set up in between coconut, palm and mango trees and turn the garden into a real wellness area. 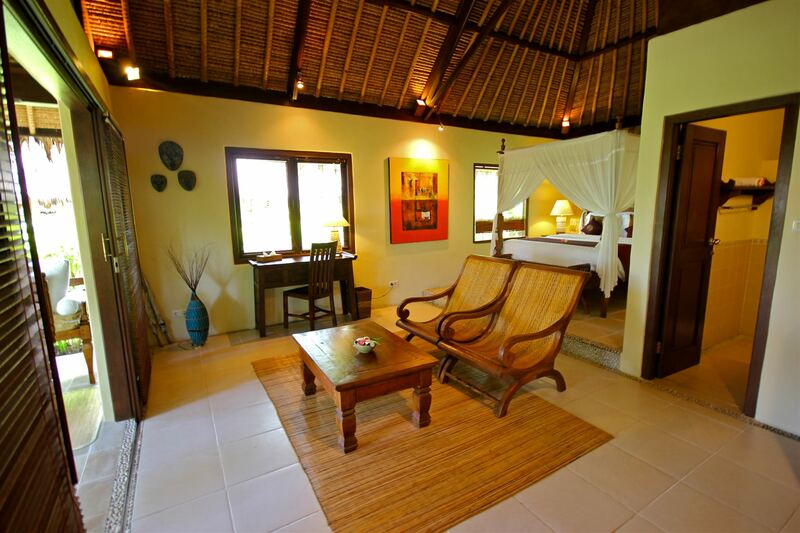 The luxurious bungalows (50 m²) have been built from high-quality materials like palm wood, mahogany, bamboo and bricks. They are thatched in traditional style with Alang Alang grass. 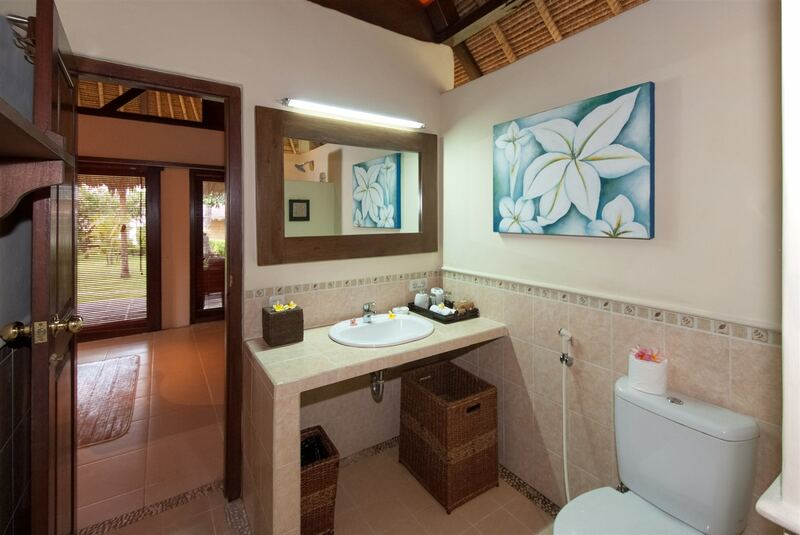 All bungalows have a combined living room/bed room, a bathroom with shower/toilet. They are equipped with air conditioning, fan, mini-bar, safety box and hair dryer. 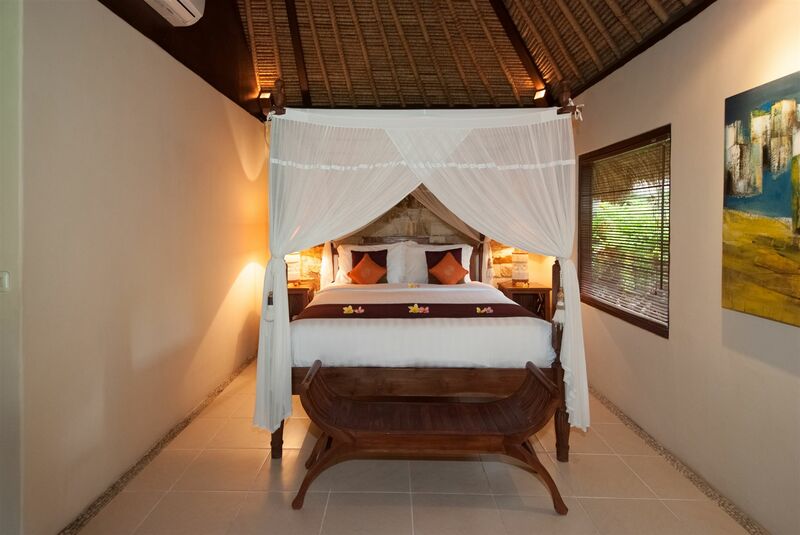 The three rearmost bungalows (60 m²) have an additional bed couch for a third person and they are shaped more spaciously. 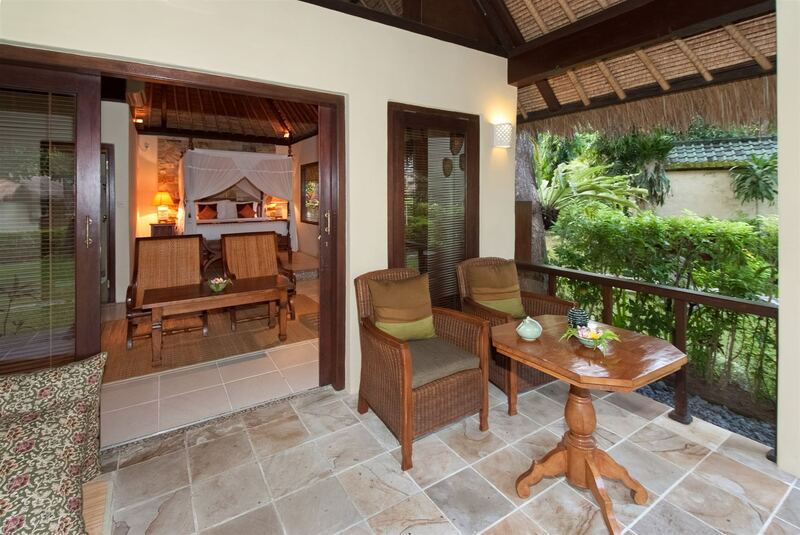 Of course every bungalow has its own private veranda which invites you to relax.